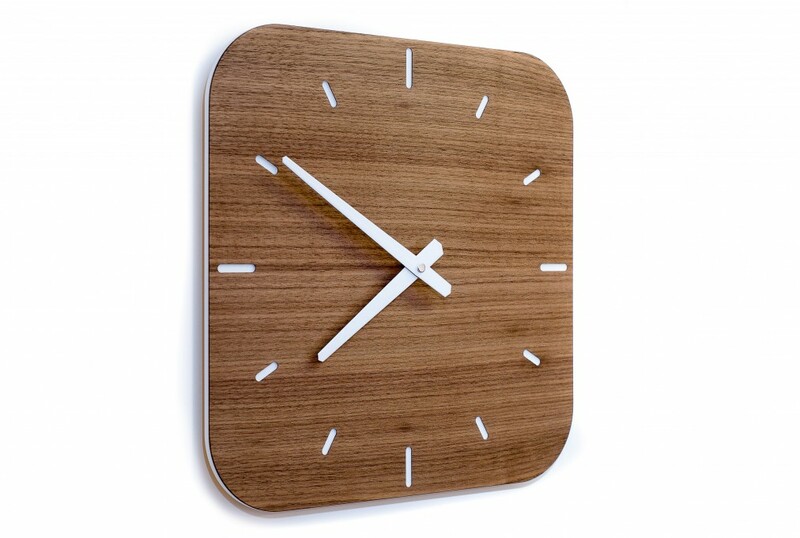 The time is ripe for this new design wall clock! 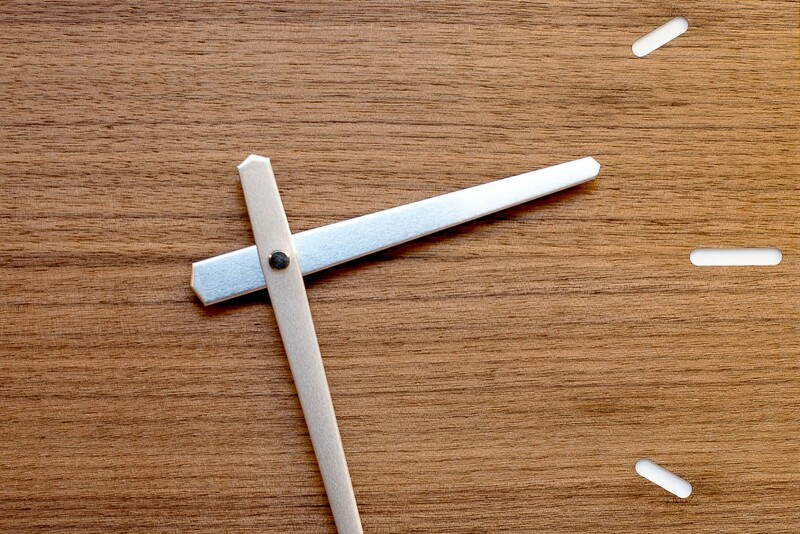 Note the classic design and the understated elegance of this nut wood wall clock. 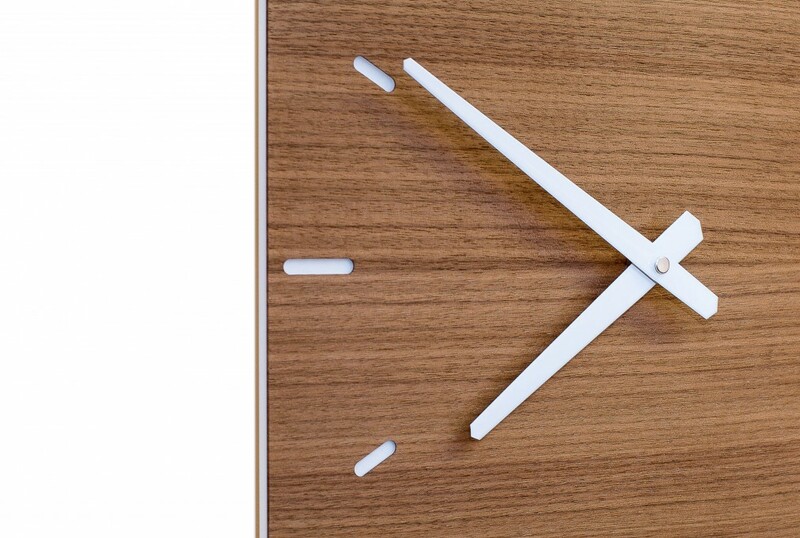 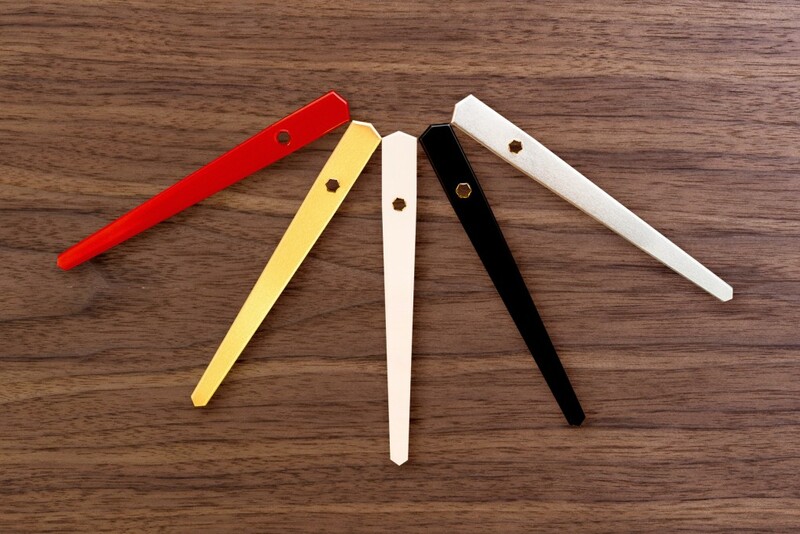 The super-silent clockwork ticks behind a slab of acrylic solid surface material and real nut wood veneer. 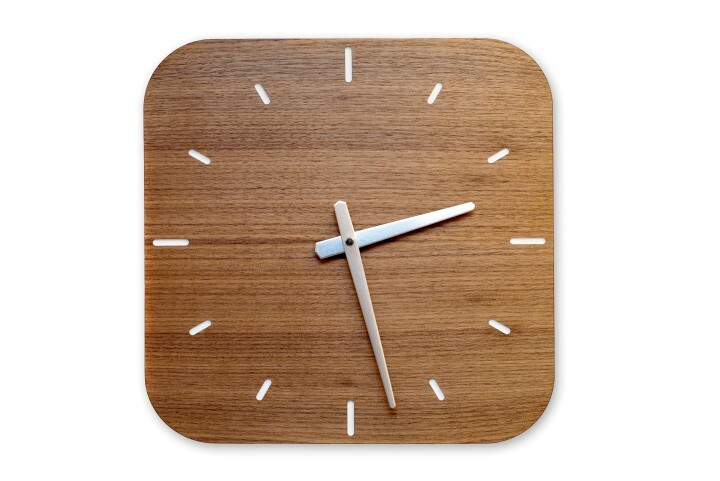 The milled clock face reveals the white colouring of the stone. 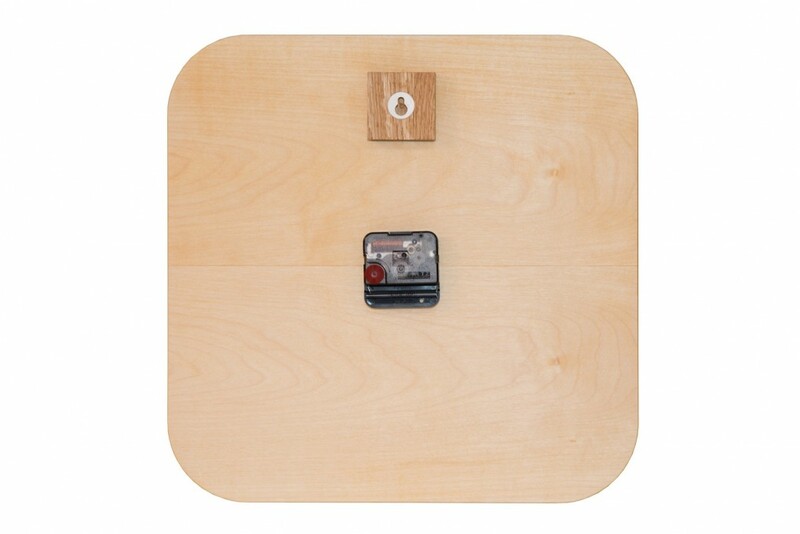 The wall clock only requires one screw for mounting.